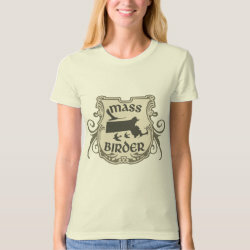 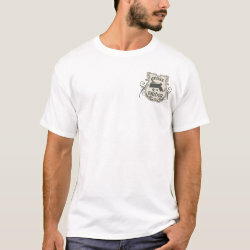 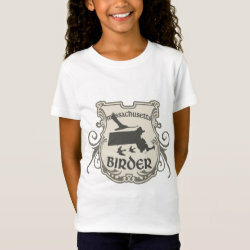 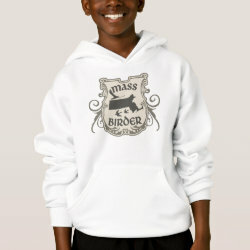 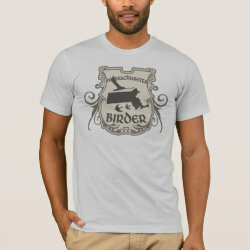 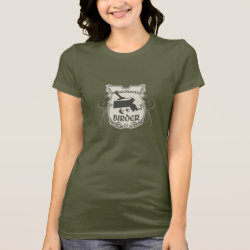 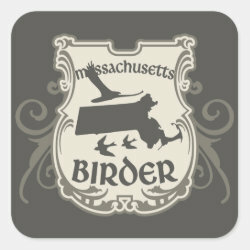 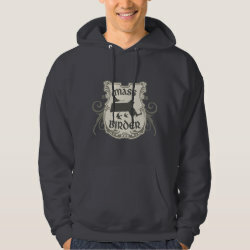 Show your Massachusetts Birder pride with this original shield-style design! 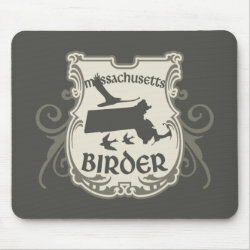 The state is shown in silhouette with three birds flying around, also in silhouette. 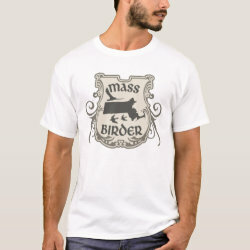 Find More... the name of the state spelled out or a shortened "Mass" version of the products you see here. 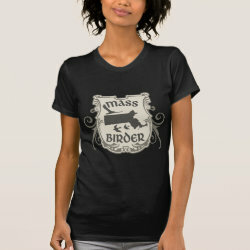 Whether you're a longtime Mass Audubon member or a birder visiting the great state of Massachusetts, this original design is for you!